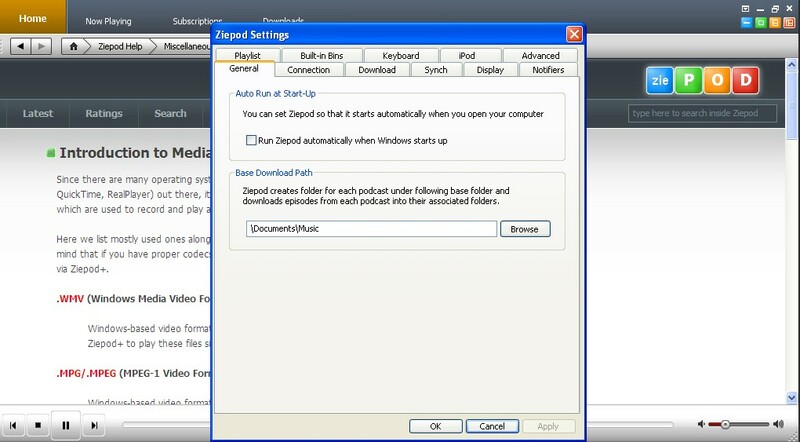 Ziepod is an audio podcast manager, RSS & ATOM Feed reader, and Podcast Streamer. You can search for and play podcasts from within the player (MP3s, etc. using installed codecs). How to extract: Download the installer and extract to a folder of your choice. Launch Ziepod.EXE. This is a great piece of software, but with one major flaw: it can't cope with https. If the feed has an https url, it won't read it. If the feed is http, but the enclosures are https, it won't download them. If anyone knows of a workaround for this, I'd love to hear it. My copy does not have either.